By NNA Staff on October 26, 2012 - This week an important fact came to light: The title and escrow industries are facing a serious shortage of qualified Notary Signing Agents, and they are actively seeking the help of NNA certified Notaries. By David Thun on October 25, 2012 - U.S. Senators are calling on the People’s Republic of China to crack down on Chinese companies selling fake IDs through the Internet. By NNA Staff on October 25, 2012 - An October report by RealtyTrac indicates that filings took a significant drop in recent months, and that September’s nationwide totals were the lowest since July 2007. By NNA Staff on October 25, 2012 - A recent ruling by the U.S. District Court in Washington, D.C., allows South Carolina’s new voter ID law to stand. But the law, which may still face an appeal by the Justice Department, will not become effective until 2013, with additional rules for Notaries. By David Thun on October 18, 2012 - The U.S. Department of Justice is charging hundreds of people following a year-long investigation of mortgage fraud cases across the country, including “loan modification” scams that often try to recruit unwitting Notaries as accomplices. 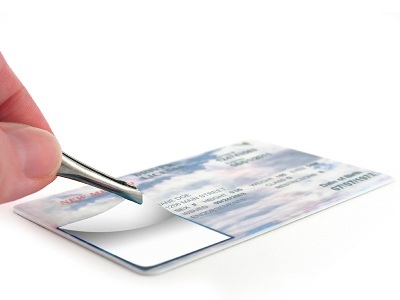 By NNA Staff on October 18, 2012 - As a California Notary, am I allowed to accept a laminated California drivers license as a valid form of ID? By NNA Staff on October 18, 2012 - An alarming increase in financial manipulation and abuse of the elderly has inspired many states to tighten their laws pertaining to estate and financial planning, and Notaries Public play an important role in the prevention process, specifically in reference to the execution of durable power of attorney documents. By NNA Staff on October 18, 2012 - The use of smartphones to deposit checks is growing rapidly, offering a time-saving option for mobile Notaries to credit their bank account as soon as a notarization is complete. By Kelle Clarke on October 11, 2012 - Reports of mortgage fraud continue to grow, and the numbers are likely to see an even higher spike with the implementation of new regulations by the Financial Crimes Enforcement Network (FinCEN), according to the Lexis Nexis 2012 Mortgage Fraud Report. 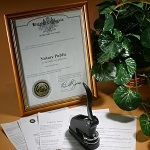 By David Thun on October 11, 2012 - Notary Signing Agents are beginning to see a new recordkeeping requirement at loan closings, as one financial institution applies a key regulatory standard arising out of the foreclosure crisis and housing market collapse to the origination of new loans.